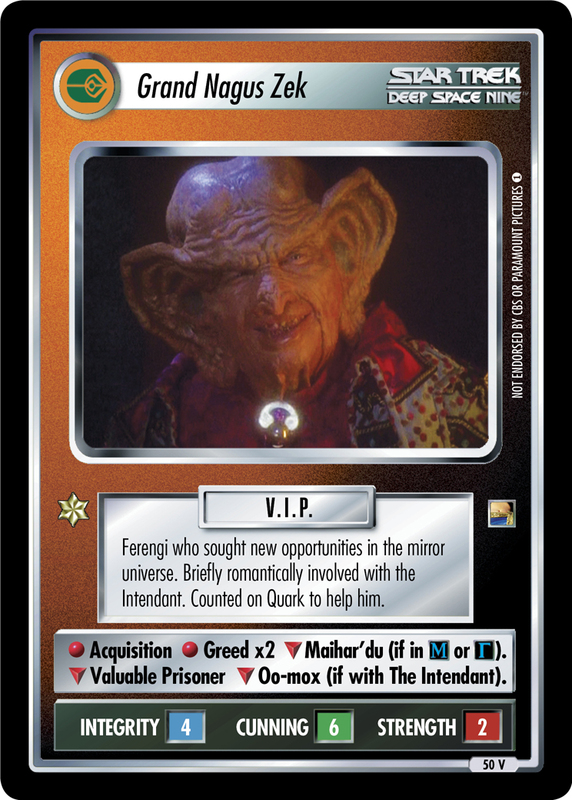 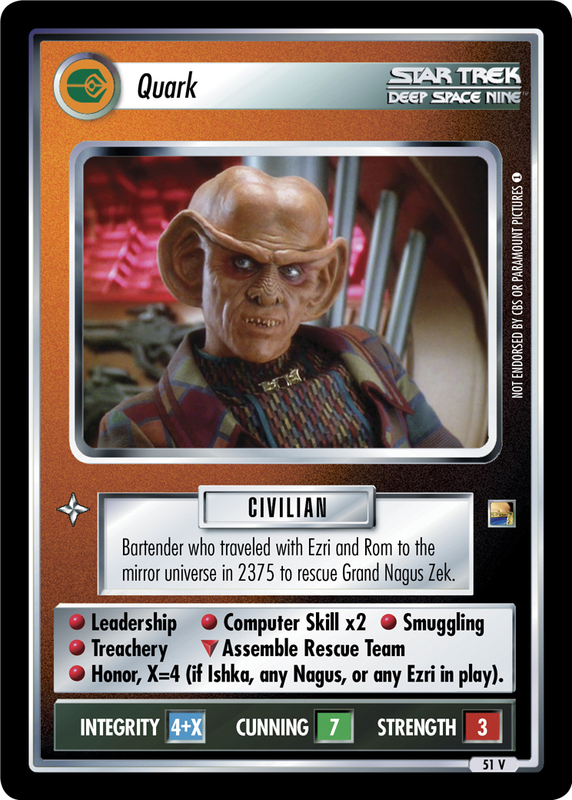 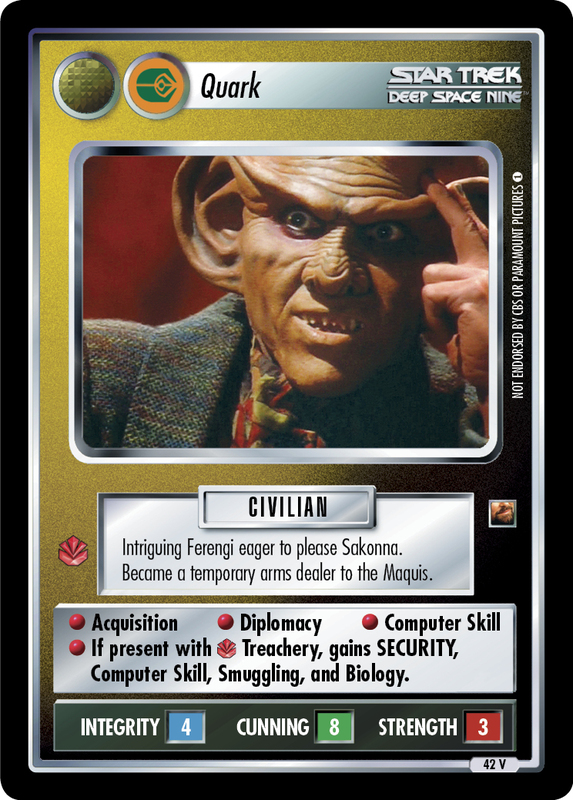 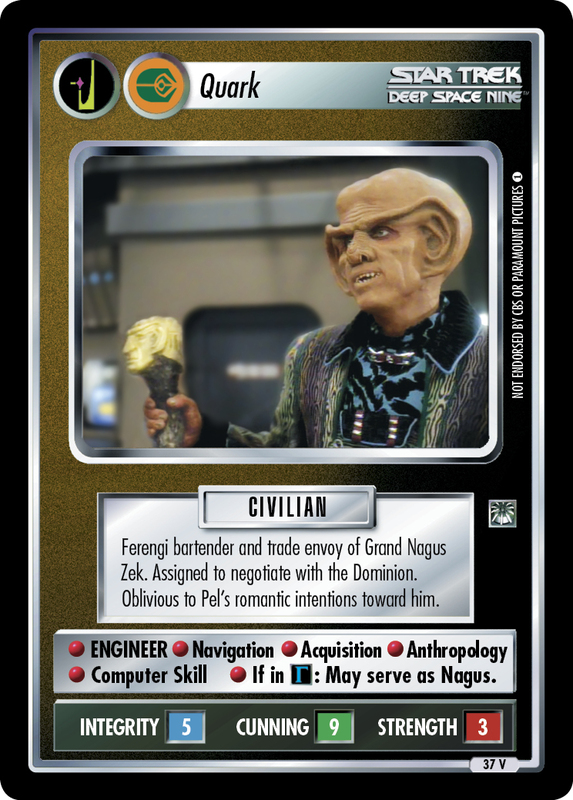 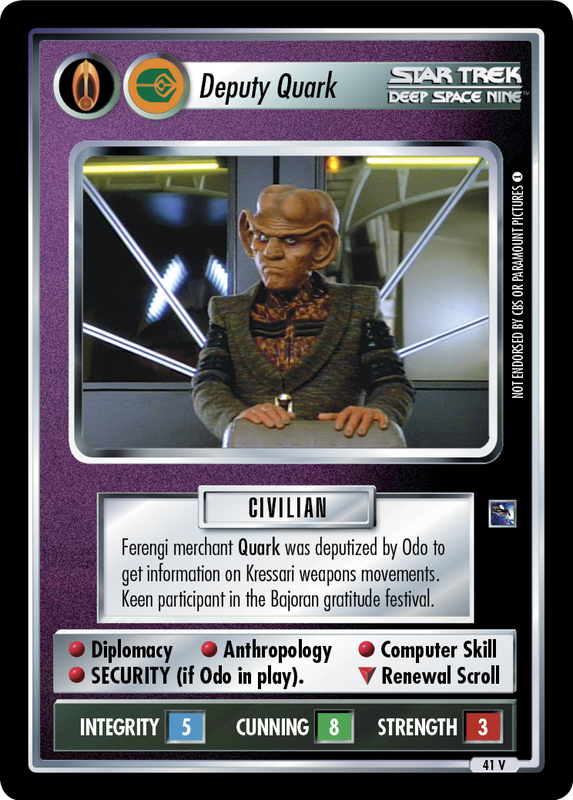 In a play to convince Nilva to support Grand Nagus Zek's reinstatement, Quark was altered to appear female. 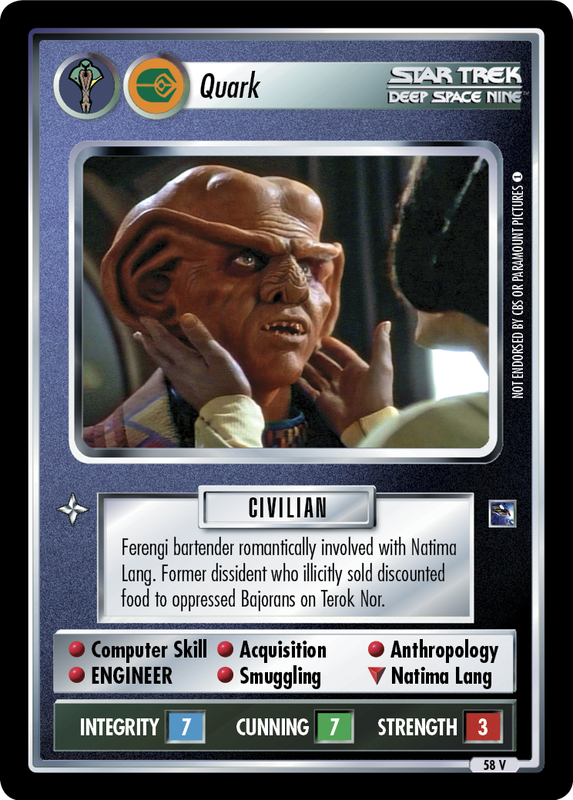 • Acquisition • Biology ∇ Nilva • Doubles first-listed skill of each male present. 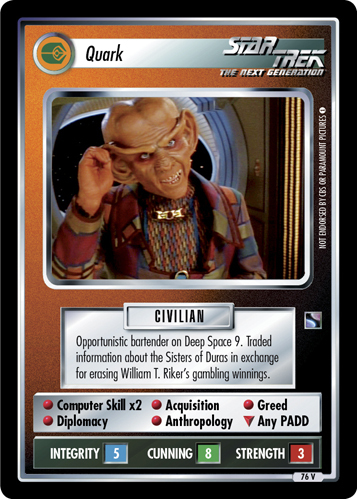 • May nullify gender-related dilemmas where present.